Softball teams of all ages often solicit sponsorship from local businesses to help off-set some of the costs of the expenses related to playing rep ball. For many teams one of the "features" they sell to potential sponsors is the ability to have their logo displayed on team banners that most carry with them to home games as well as tournaments. This winter someone posted on our UTM Forum site with respect to a company called Options Mississauga. 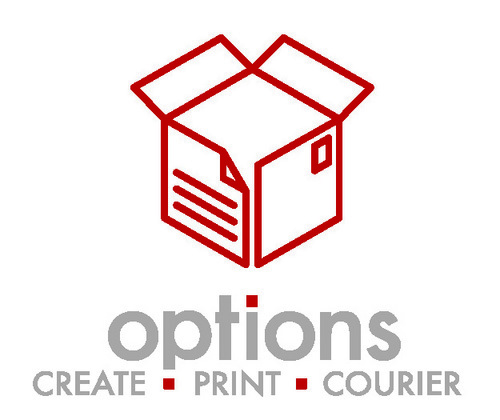 The post simply stated that Options might just be able to provide another "option" to teams looking for a print/media company for their banner production. We at UTM reached out to Options, and have found the service and staff extremely responsive and helpful. We asked Sharlaine Jones, from Options to describe the company. Here is what she said, " We are a non profit social enterprise, that offers employment training, arts and culinary training programs. We have a store front retail printing company in Port Credit that is used as a training facility for adults with an intellectual disability to help train them so they can achieve their goals of getting employment. Through our store, they learn things like customer service, phone etiquette, general office and printing services. The store gives them the confidence needed to work in a retail environment. Futhermore, she commented, "The Print Store offers all forms of printing such as the usual business card, postcards, flyers etc., as well as grand format printing such as banners, posters, window decals etc. We are also a registered distributor of promotional and incentive items. We can handle any print job, large or small. The profit from the printing company goes directly to supporting our programs. When you buy from Options you get what we like to call…the double bottom line. Great print at very competitive pricing, and the knowledge you are supporting a very needed and worthwhile program." We (UTM) love what we're getting and love the competitive price point for our banners, flags, lanyards and more. We would 100% recommend teams and organizations reach out to Options now and in the future for all your print/media needs.